Branded as the “Fort Worth marketing guy in jeans” or “the creative Fort Worth branding expert” by his clients and colleagues, anyone who knows Gerry will tell you he’s the guy with marketing in his blood. He instinctively spots the marketing opportunities missed by others and comes up with cost-effective ways to maximize those opportunities on the fly. A co-worker named him the “Creativity Czar”, but it wasn’t appropriate to put on a business card at the time – now it is. 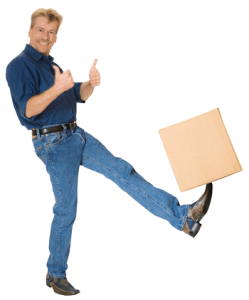 Gerry’s marketing career began when he started a promotional marketing company in 2002. He grew his company and merged it with an agency in 2006, but wanted to provide more support to small businesses than agency life allowed. He left the agency to follow his passion of supporting small businesses in the non-profit sector, but it was only a matter of time before Gerry’s entrepreneurial spirit had to reemerge. He launched Gonzo Strategies in 2010. With Gonzo Strategies, he’s created a business that not only creates marketing for his clients but teaches them the “why” behind the “how” so they can become more independent when it comes to making decisions about their marketing. 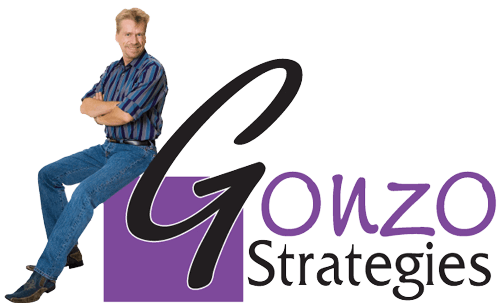 In addition to running Gonzo Strategies, Gerry is a regular speaker and member of the strategic team at Knowledge for Success, a non-profit organization in Fort Worth dedicated to teaching potential and existing business owners how to turn their dreams of owning a business into reality.